This is just something quick I wanted to do. 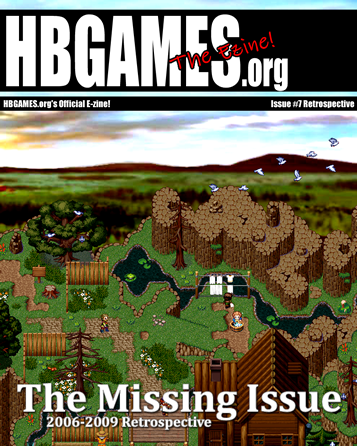 There were no eZines for three years between Nov '06 and Nov '09; this issue is a look back at those years, using some reviews found on the forums, screenshots still around, and other content. It's only two days work so it's not too pretty, but hopefully still enjoyable. is drawing attention to the bygone glory days—and thus the modern era's lack of activity— a constructive way to bring new visitors to the site? I was waiting for you to chime in. ;) Not everything has to be a ploy to bring in new members, we're allowed to do things for those already here. If this had taken more than two days to put together I'd agree with you, but no, this is just to spotlight things that didn't get a shot first time around and to complete the ezine set filling in the massive gap between the two formats. Something I personally thought was missing, not an advertisement to the illusive New Members. we're allowed to do things for those already here. Um, yes. Amy.blog is one of the biggest sites on the net.